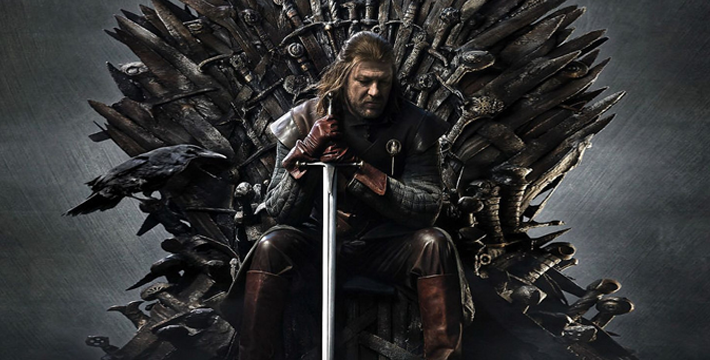 What can the characters in Game of Thrones teach us about the core principles of sales management? 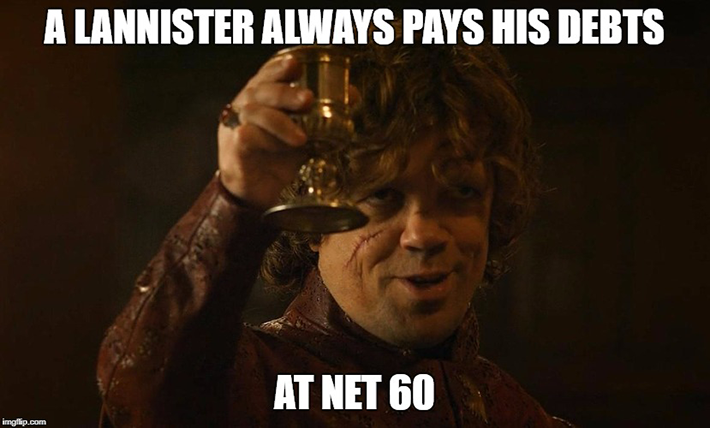 Check out these five examples, plus memes! In the world of Westeros, it is not just the size of an army that determines whether it will conquer its foes, but the vision of its leaders and the strength of its strategy. Viewers of the hit HBO series Game of Thrones have watched massive invasions fall flat due to a lack of proper planning, guidance, and execution. With the new season underway, we thought it might be fun to pull some lessons in sales management from the six-year journey up to this point. When Daenerys Targaryen sets her sights on traveling across the Narrow Sea and staking her claim as Queen of the Seven Kingdoms, she doesn’t rush the process. Instead of taking her newfound army and growing dragons directly toward the ultimate destination, she decides to remain in Meereen, so as to first prove she can successfully rule. The takeaway here: you’ll always come off as more credible if you walk the walk rather than just talking the talk. When implementing new initiatives or programs, immerse yourself and show the team how it’s done. In a world where central characters drop like flies, there’s no time to mope. Where would our guy Jon Snow be right now if he spent his time sulking about the fact that pretty much everyone he has ever known is dead? In sales, going through a rough patch can be truly deflating. When you see a member of your team struggling, step in with some positive vibes to help get them back on track before it affects team morale. Hey, it always could be worse. 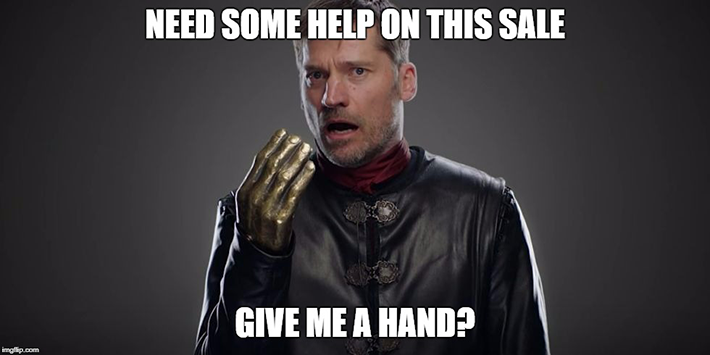 No one has made it very far in GoT by going it alone. Every remaining contender for the Iron Throne owes their progress to reliance upon others, at least to some extent. Sales can be an isolating business. With the emphasis on personal quotas and goals, it is often tempting for reps to go solo and do as much as they can on their own. But by combining forces and sharing resources, teams can accomplish so much more. Encourage your salespeople to work with one another in order to hit collective targets. Try incentivizing group achievements rather than solely awarding individual success. Are you true to your word? People notice when a manager keeps his or her promises, even when it comes to small and seemingly trivial matters, and they respect it. In Thrones, the honest characters are beloved (Tyrion, for instance) while the crooked ones are reviled (curse you, Walder Frey!). What makes a good ruler? Certainly not a ruthless and maniacal tyrant like Joffrey Baratheon or the Mad King. Daenerys has always been the people’s choice to reign over Westeros because of her gentle nature and genuine care for those in need. She has spent the past several seasons fighting to earn and preserve the freedom of slaves in Essos. 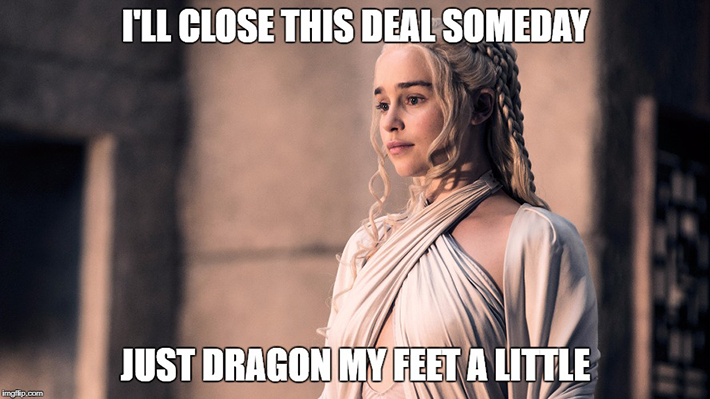 Take a page from Khaleesi’s book and focus on helping the members of your team that can use it. Make it your mission to foster an enjoyable work environment. Be approachable. 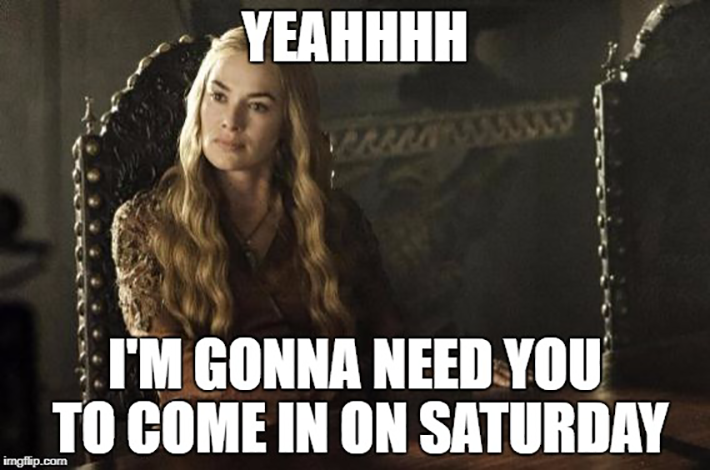 Or, more succinctly: Don’t be like Cersei. 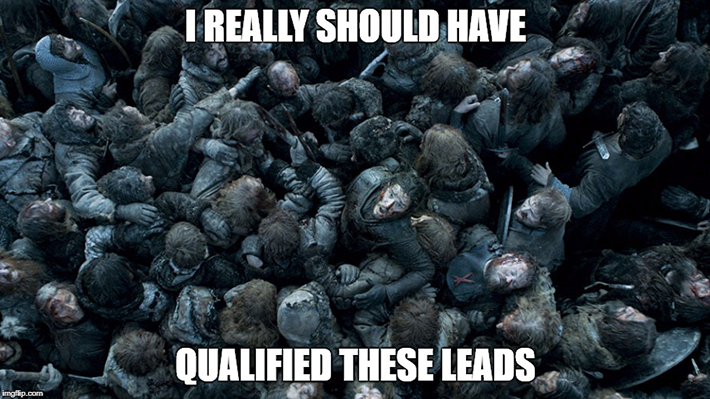 Winter is coming, but you can stay prepared by downloading the Sales Manager's Guide.